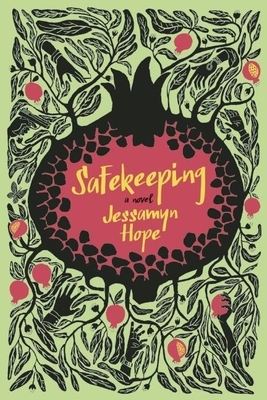 Home » Blogs » info@bookculture.com's blog » Q&A and Reading with Jessamyn Hope, author of "Safekeeping"
Q&A and Reading with Jessamyn Hope, author of "Safekeeping"
This Monday, June 15th, Jessamyn Hope (Safekeeping) and Jonathan Papernick (The Book of Stone) will read and discuss their recent novels. We'd like to thank Jessamyn for taking the time to answer our Q&A and for sharing her work with us! Jessamyn Hope grew up in Montreal and lived in Israel before moving to New York City. Her fiction and memoirs have appeared in Ploughshares, Five Points, Colorado Review, Descant, and PRISM international, among other literary magazines. She was the Susannah McCorkle Scholar in Fiction at the 2012 Sewanee Writers' Conference and has an M.F.A. in creative writing from Sarah Lawrence College. How did you come to write Safekeeping? Safekeeping is set on a kibbutz in Israel in 1994, and I lived on a kibbutz in the mid-nineties. A kibbutz makes a wonderful setting for a novel. Not only is it a unique place, fascinating in its own right, but the borders of a socialist commune, both its physical borders and idealistic ones, provide an excellent setting for exploring how people engage with those closest to them, as well as the larger community. Normally I read novels, but right now I’m coming to the end of The Emperor of All Maladies by Siddhartha Mukherjee. Although its nonfiction, it satisfies my need for meaningful, well-told stories. The book tells an epic tale, full of fascinating characters, beautiful language, and heartbreaking details. Among my favorite books are The Remains of the Day, The English Patient and Gone with the Wind. I also loved Atonement. All these books, like Safekeeping, have very personal stories, essentially love stories, set against war and sweeping social change. And I can’t talk about my favorite books without mentioning the first book to influence me: Anne of Green Gables. The Blue Guitar by John Banville. I’m excited about a novel I’ve started outlining, but I’m not quite ready to talk about it.